Paying down debt is one the most important things people can focus on doing when they are trying to improve their credit scores and, in turn, their financial situations. However, when people are facing mortgage debt, car loan debt, credit card debt and various other types of debt, it can be confusing and even overwhelming trying to figure out what to do in order to tackle such potentially massive debt. When you are ready to start paying down your debt, here are some tips that can help you. If you are overwhelmed by debt, however, call Arthur Lindquist-Kleissler. If you find yourself in this situation, following the straightforward steps in this three-part blog may be effective at helping you get your debt under control and, ideally, getting you on the path to being debt-free. If you are too overwhelmed by debt and need more specific info regarding your options for debt relief, it’s time to contact Denver Bankruptcy Lawyer Arthur Lindquist-Kleissler. Tip 1 – Figure out how much money you can put towards debt payments. The first thing to do when you are preparing to start focusing on paying down your debt is to get a clear picture of how much money you have available to put towards your debt. Essentially, this will involve tallying your essential monthly expenses to determine how much money you have remaining. As you go through these calculations, be sure to tabulate how much you need to spend on things like rent/mortgage payments, utilities, car payments, food, gas, etc. Looking at bank and credit cards statements as you do this can help you be sure to capture all of your costs. Then, calculate how much remaining income you can additionally put towards paying down your debt. It will be ideal if you can cut back on some non-essential purchases to maximize this allotment. Tip 2 – Pay more than the minimum payment on at least one of your outstanding debts. This is a key step when working towards paying down debt because it will help you pay off the principal instead of just covering the interest on your debt from month to month. If you have a number of different debts that you want to pay down (and eventually off!) figure out which debt has the highest interest rate and make that your first target. In many cases, this will be one of your credit cards. Here, it’s important to mention that, as you focus on paying more than the minimum payment on one debt (or, if possible, a few debts), don’t do so at the expense of other debt; in other words, make sure that you are still able to cover all of your monthly debt payments. It’s not a good idea to put all of your money towards one debt while not paying the others. 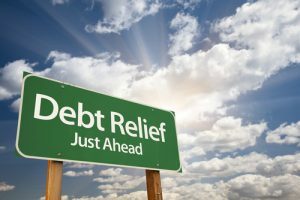 Look for the second and third parts of this blog to be posted in June for some more essential tips that you can follow to help you pay down your debt and get on the path to living debt-free. At Lindquist-Kleissler & Company, LLC, our Denver bankruptcy attorney tailors his services the individual client’s needs and the specific circumstances of a case. This means that our clients can always count on us to bring a fresh perspective to their bankruptcy matters and to effectively guide them to achieve the best possible outcomes to their cases.